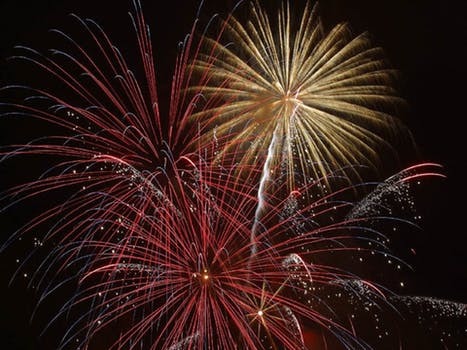 The Lions Club of Elburn will be hosting a fireworks show at the Elburn Lions Park on Saturday, July 6, 2019. The grounds will be opened at 7 pm and the show is expected to begin at 9:30 pm or so. The rain date is Saturday, July 13, 2019. The Elburn Lions Club will offer food and non-alcoholic drinks for sale near the viewing area. Attendees are encouraged to patronize local businesses that will be open prior to and after the show. Non-alcoholic and alcoholic drinks will also be sold in the clubhouse, though alcoholic drinks will not be permitted to leave the facility. Alcohol, dogs, guns, coolers and grills are not permitted on the park grounds. Parking will be available on the west side of Lions Park. There will be no charge to park on our grounds though a free will offering will be appreciated. Parking in the neighborhood surrounding Lions Park may be restricted.